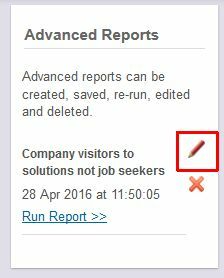 Our guide How to create a bespoke report shows you how to create bespoke reports from your A1WebStats data. This guide shows you how to introduce positive and negative elements so that you get a much more customised result. 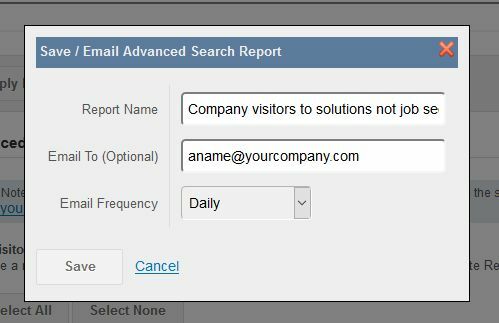 You want a daily report showing you visitors from identifiable companies who went to a particular website page but didn’t go to your job vacancies pages. Although you’re interested in company visitors, you’re not interested in people from within companies who were looking for a new job. You want a daily report showing you visitors who got to your services pages but who didn’t get as far as you case studies pages (which would imply that people aren’t finding enough reason to look at the case studies related to those services). You want a weekly report showing you visitors who got as far as your shopping cart but who didn’t get as far as the checkout page. Using bespoke reports is intended to give you a much bigger picture than purely focusing on identifiable company visitors. It takes Google Analytics and digs deeper into every individual visitor that matched a specific pattern that you’re interested in. 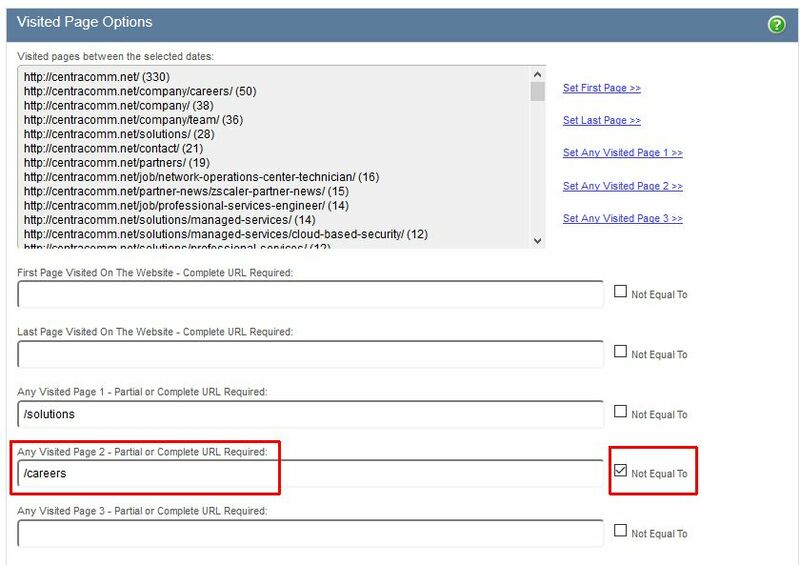 In Google Analytics, if you wanted to dig deep into those visitors who landed on one page, went to another, but didn’t go to a certain website page, then you can’t do it. With A1WebStats you can. This is incredibly useful when you want to fully understand the website movement patterns of individual visitors because even though many can’t be identified as companies, many of them will be and so their website movements can highlight opportunities for improvement. 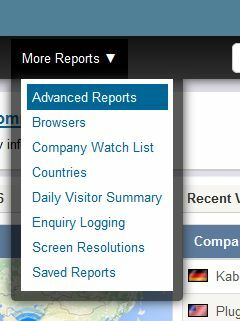 Select ‘Advanced Reports’ from the drop-down after hovering over ‘More Reports’ in the main navigation bar. … but who didn’t go to the careers pages. Scroll down the page to the ‘Visited Page Options’ section. 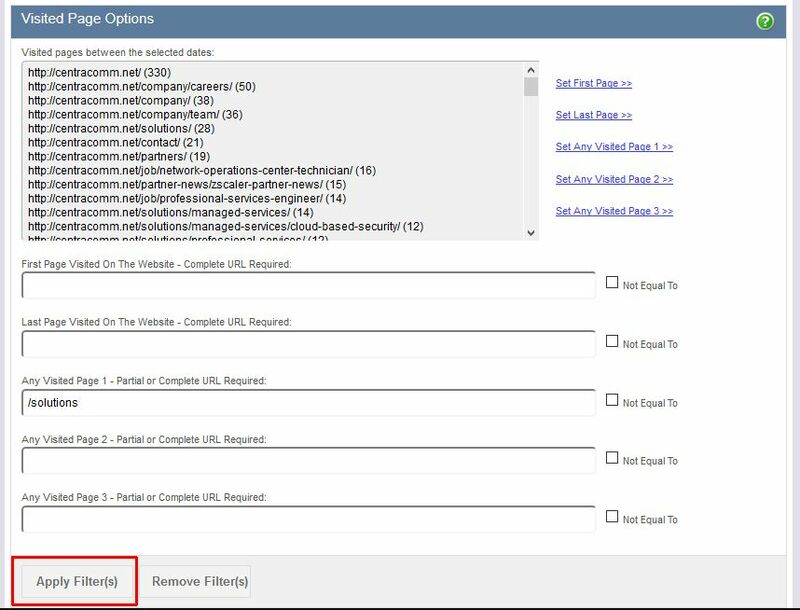 Click into the box titled ‘Any Visited Page 1’ and enter /solutions (this will pick up visitors who got to any of the urls that had /solutions in them, which includes all sub-pages). 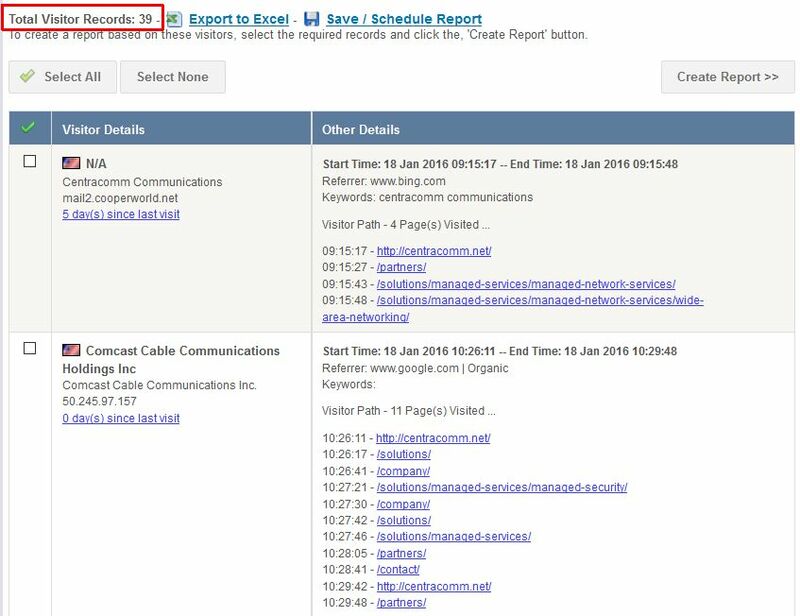 In our example, we now want to take those 39 visitors who got to the /solutions pages and show only identifiable companies. 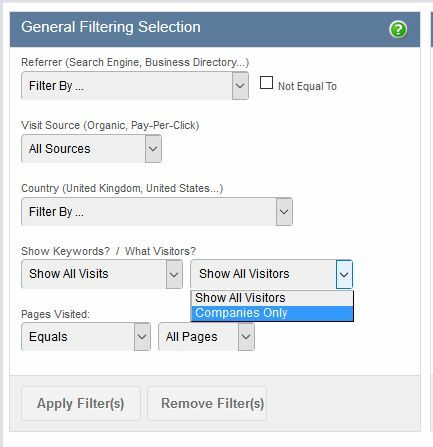 Scroll up to the top of the screen to the ‘General Filtering Selection’ part and in the fourth row down, change ‘Show All Visitors’ so that it says ‘Companies Only’. 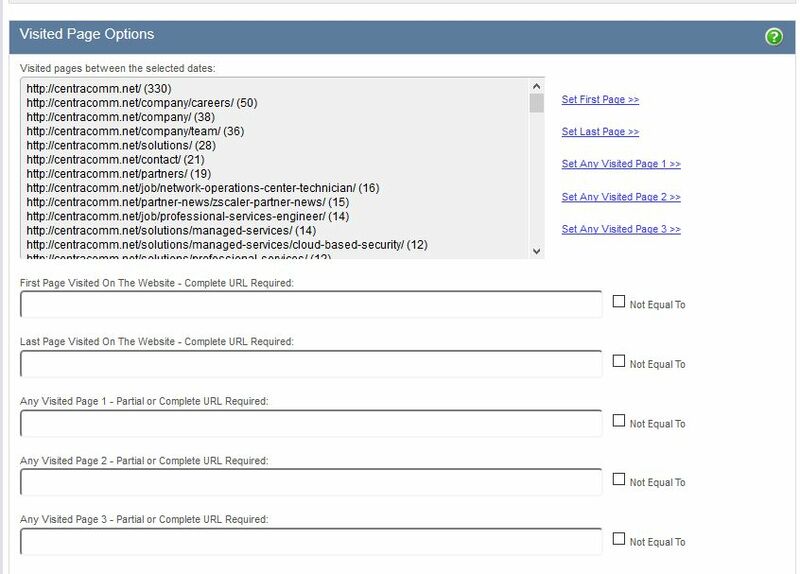 Then click on the ‘Apply Filter(s)’ button, which will take you down the page to see your data filtered by only those identifiable companies that got to /solutions. Now we want to introduce a negative because we’re not interested in those company visitors where people were looking for a job as part of their visit. 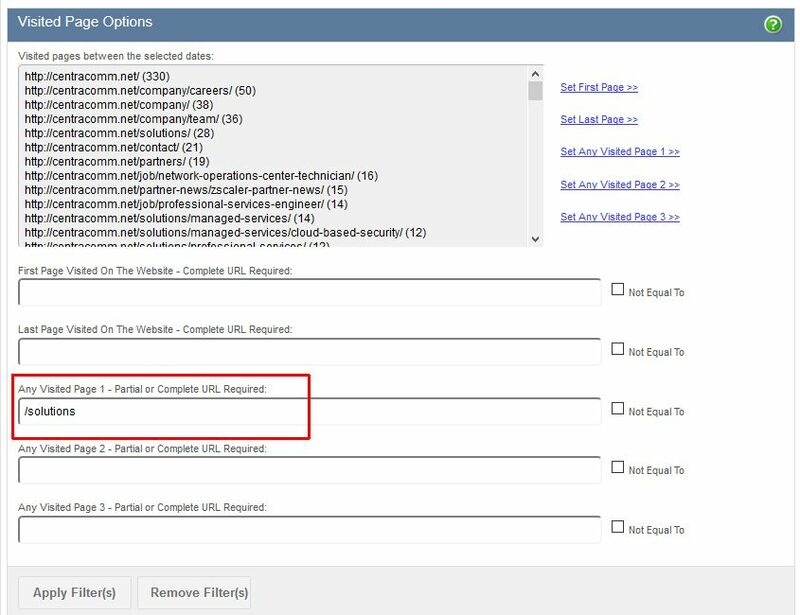 To do this, scroll up to the ‘Visited Page Options’ section and click into the box titled ‘Any Visited Page 2’ and enter /careers but also then tick the box to the right of that line that says ‘Not Equal To’. 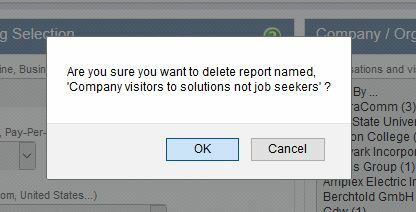 When you now click on the ‘Apply Filter(s)’ button it will update your results to remove those who got to any urls with /careers in them, which is the final data you require. Note: you don’t have to build the data up step by step – you can select all the parameters you’re interested and then click on ‘Apply Filter(s)’. It is though sometimes insightful to build up data a step at a time. Create a name for the report (that’s meaningful). 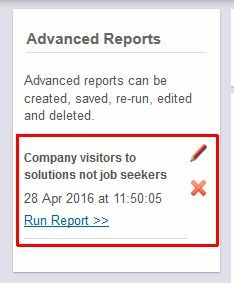 For example ‘Company visitors to solutions not job seekers’. This is the name of the report that will appear in the email inbox of the recipient each time it runs. Type in the email frequency. Most reports are run daily and weekly covers the past 7 days.